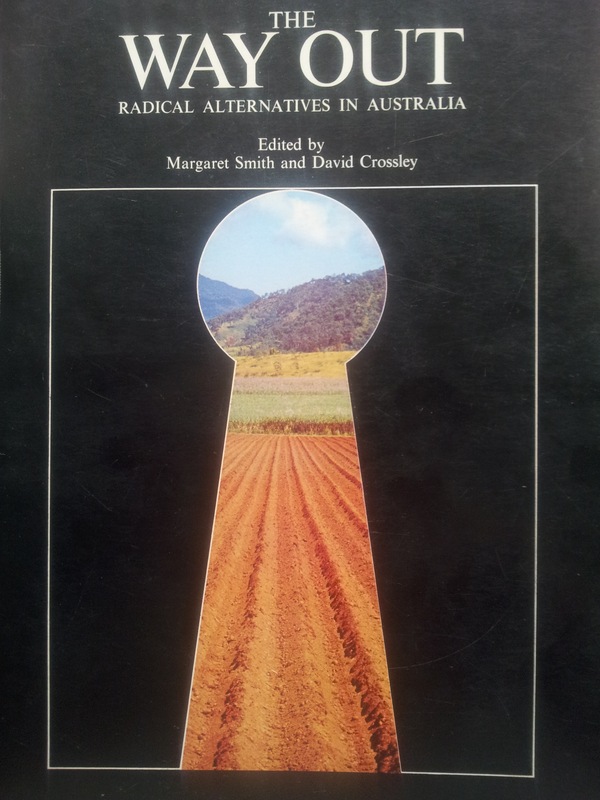 The Way Out is a book first published in 1975, containing over 50 articles which "argue out a coherent philosophy of practical alternatives to improve our present-day society." It is so popular at Digger Street that we decided to preserve the text and to produce a new book, The Way Out Now. Put all of the text of the original book online and to make it more interactive. We have already scanned the book into this website for reading. We are now converting the scanned pages into text and are in the process of editing that text for formatting and spelling errors. If you would like to help with this aspect of the project, please register on the website and contact us to let us know! The next phase will be to add a comments section to each article, insert links, and otherwise make the online text more interactive. Contact as many of the original contributors as possible to get their views on the same topics 40 years later. While unfortunately some of the authors have passed away, we have been able to contact others. There are some that we are still searching for. If you contributed to The Way Out, or know how to reach someone who did, please let us know! This is an open source project and anyone may contribute by registering on our website and contacting us. The following are some thoughts from Franny, one of the originators of this project. Franny was one of our first VITALs (Volunteers in Tech and Logistics), which we were at the time calling "Digital WWOOFers." Franny is from Germany and stayed at Digger Street for about two weeks, during which she became increasingly interested in The Way Out. We hope Franny will stay involved in the project even though she has left Digger Street. Before we started this project in its virtual space, it sat in an organic mind and was discussed with others for about four weeks. It was inspired by how often at Digger Street residents were reading this book and finding it very relevant. Forty years later, the questions are still relevant, and the search for alternatives to our commercially-driven society is still on. I really liked the idea of finding the authors and contributors and asking them about their point of view on the same subject 40 years later. In my opinion, this project is a great way to find out the development of movements, ideas and opinions on living styles, education, health, and politics over the last 40 years. Perhaps we can learn something valuable about the development of our society. Furthermore, we want to find young activists and ask them to write their opinions, feelings and thoughts about the different alternative lifestyles from their perspective. Welcome to the “Way Out Now” ! Digger Street is a laboratory for exploring communal living, and is project of Self Organising Systems. For more information please check us out at www.diggerstreet.com. Due to the transient nature of Digger Street, the participants in any given project are continually coming and going, and the project must demonstrate its ability to evolve and sustain itself organically. Thank you to those who have already helped evolve the "Way Out Now" idea. We would also like to thank all those who in participated in creating the original "The Way Out." You created a practical example of how to record your ideas for change to benefit those that come after you, which is one of the core ideas informing what we do at Digger Street.